“Dementia” is a broad medical term used to describe a set of symptoms that include impaired memory and thinking. Alzheimer’s disease, on the other hand, is a specific and common cause of dementia. Receiving a diagnosis of Alzheimer’s Disease or another dementia can be devastating. It almost always feels shocking, even if some of the initial signs were there. 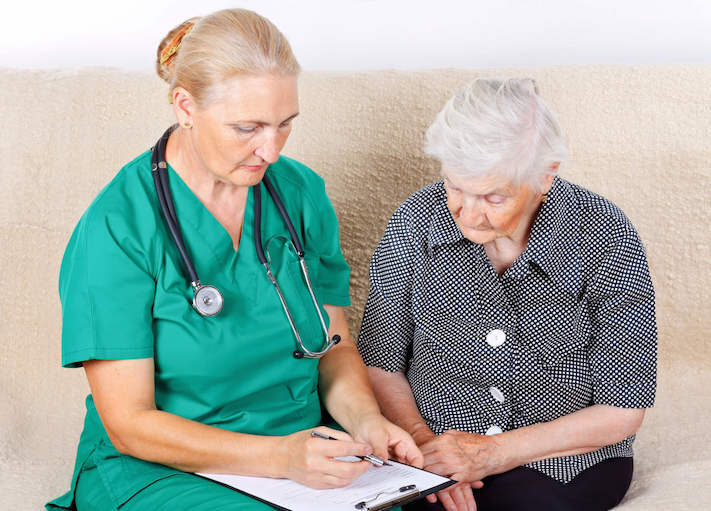 During your subsequent visits to your geriatrician or neurologist, it is important to keep a level head by asking important questions that can help you to guide the future care of your loved one. Here are a few questions that you should consider asking, along with what to do with the answers. There are a number of challenges that come with caring for someone who has dementia. While you might expect some of those challenges, such as forgetfulness or confusion, you may find a few challenges are not ones you anticipated. Dietary changes and nutritional adaptations are sometimes an unexpected part of the dementia process. People with dementia can experience a wide range of issues around food: some will eat less, some will lose the ability to navigate silverware or some may find a dining room environment too distracting. No matter the case, keeping healthy nutrition for those with dementia is especially important. Proper nutrition can assist with healing, potential skin issues, and other chronic conditions. Navigating the senior living industry can feel a bit overwhelming at first. At first glance, there are so many options for care and your loved one will likely need more care as they age. 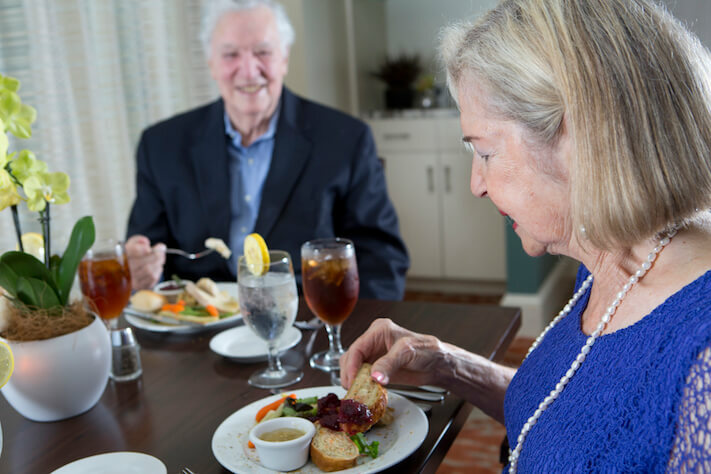 If you are seeking living options for a loved one with a diagnosis of Alzheimer’s Disease or other another type of dementia, memory care living is often the best case scenario. 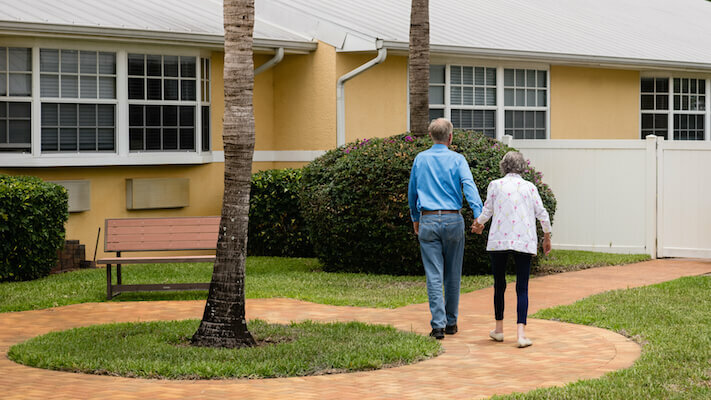 However, assisted living communities can often seem appealing as well, especially if extra services are available to keep your loved one engaged and safe. How can you tell which option is the best for you? 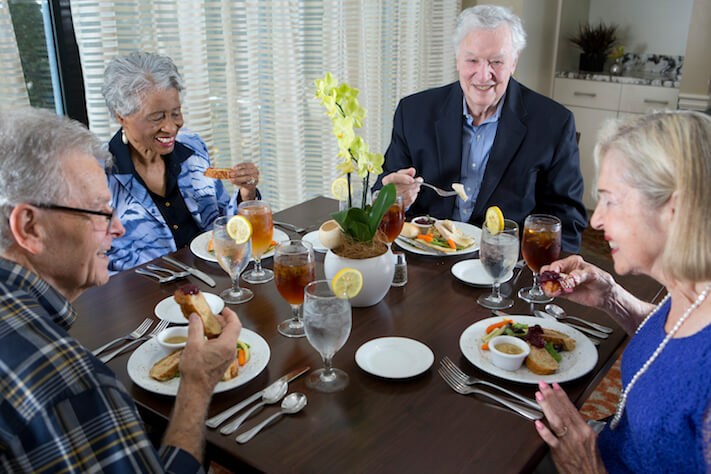 Check out these differences between memory care and assisted living communities. 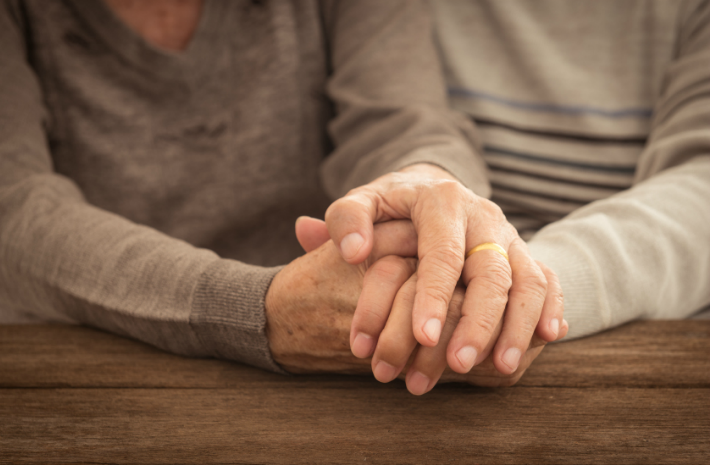 If you look after an aging parent with dementia, the very thought of placing him or her into a memory care community may make you cringe with shame. You may worry that this course of action signifies that you are uncaring or selfish or can’t manage the care of a loved one by yourself. If this sounds familiar to you, please stop right now with the self-recrimination, take a deep breath, and recognize that taking care of a person with a cognitive impairment is a hugely demanding position for anyone. Looking after a parent with dementia can be emotionally draining to say the least, so it’s critical you get all the support and guidance you can muster. At the top of list is making sure a dementia care plan is in place (preferably while the dementia is still in its early stage) – it can mean a much smoother ride for you and your parent. Your loved one with dementia can not always communicate with you the way she once did. While you made the best decision possible for her, moving her into a memory care community, it may still feel like a challenge to stay updated on her progress and health from miles away. Thankfully, the dementia care plan is a way for you to stay in the loop about what your loved one needs and prefers as she ages in her supportive environment. 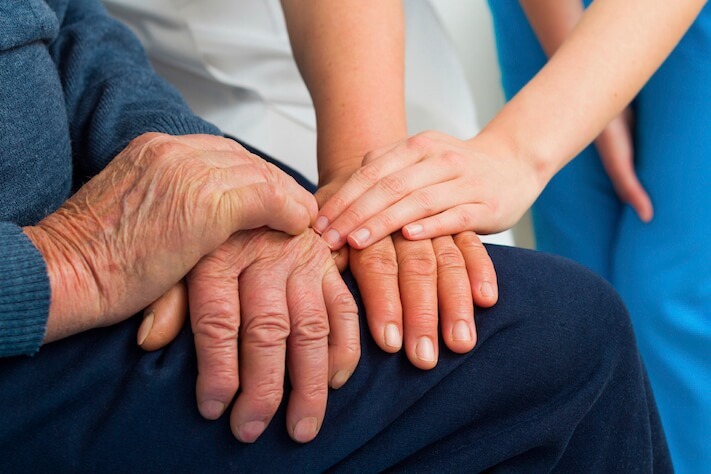 A care plan is an interdisciplinary approach to the care of your loved one. However, the care plan isn’t just for the community’s clinicians or staff members. Here are a few things that your loved one wishes that you knew about her care plan. What is the Point of a Dementia Care Plan? 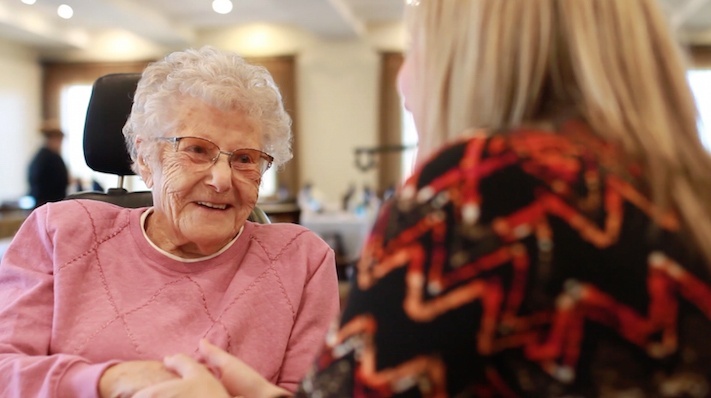 If you find yourself with a loved one in a dementia care community, or are considering memory care as an option for your family, it can often feel like you are learning and navigating an entirely new world. Certainly, you are thrust into an industry full of jargon like “validation therapy” and “ADLs”, as well as new experiences like the care plan meeting. But what exactly is the point of a dementia care plan anyway? 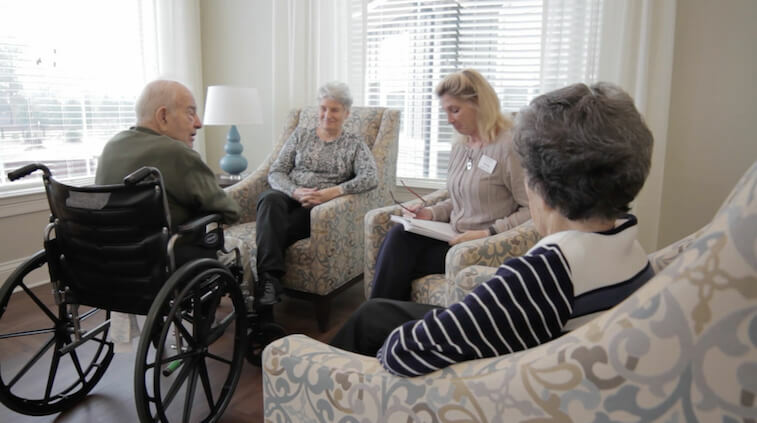 We have pooled our experience to give you the quick explanation of why your loved one has, and needs, a care plan, and why this should be an important part of dementia care even if your family elects to care for your loved one at home.